The Wireless Stand is wrapped with premium leather for a rugged but refined look. The rubber base makes it extra stable so your charger will stay put. The charger stands upright and packs flat for easy travel - simply stow the durable aluminum kickstand. Optimized for all new iPhones with a 7.5W charge output. The pad offers a stylish and functional desk or bedside home for your iPhone. How do I put the stand away? Simply snap it into the back of the charger for easy transport. Will the Wireless Stand work with international outlet adapters? This device comes with a standard US plug; however, it will work with any adapters. Can I safely place things on top of the Wireless Stand? Yes, Wireless Stand is designed to be used for wireless charging, but only turns on the wireless charging if it successfully communicates with a wireless enabled phone. If no phone is on top of the surface, there is no wireless power transmitted, so the Travel Stand can be used as a surface for resting other small items atop. Designed to be used deskside or bedside so you can easily see your important notifications and alarms without having to pick up your phone. When you need to quickly respond to a message or turn off your alarm, not having to deal with cables makes everything so much simpler. Every millimeter is designed with purpose. We integrated a simple and solid solution for storing the aluminium stand when it is not in use. Simply snap it onto the bottom to securely hold it in place. We know your time is valuable, which is why we built a high-power 7.5W coil to give you a fast wireless charging experience. Designed to charge your iPhone X/8 as fast as possible. 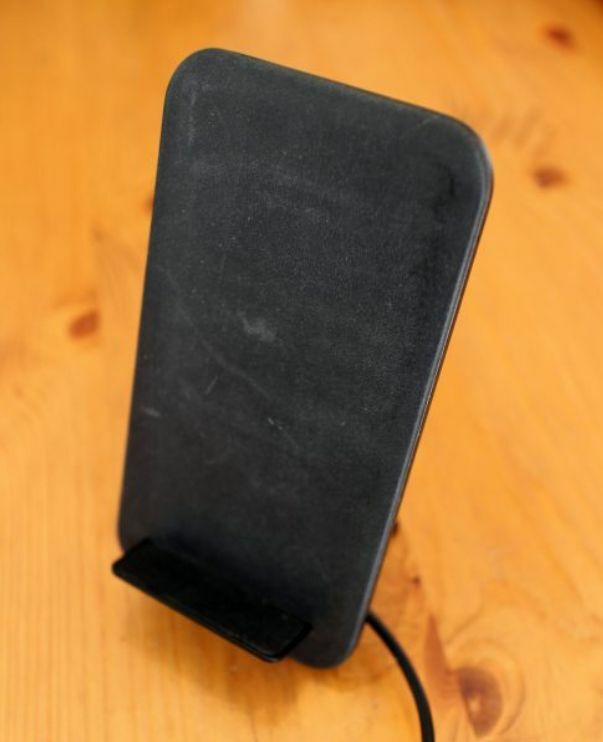 Ng Shuen F. Reviewed by Ng Shuen F.
On top being a fast charging wireless stand I really like the premium materials. The rubber base and leather backing helps soften the noise when placing the phone on there. It has a nice high end aesthetic that definitely separates it from other brands.